Green tea is made from unfermented leaves, which are simply heated after picking either by steaming or by dry cooking to minimize oxidation. As a result, green tea holds a maximum amount of antioxidants and is highly regarded as a health drink. Green tea is known as a superb fat fighter. Studies have shown that its active ingredient, EGCG, increases the rate at which fat is burned in your body. Drinking 3 cups of green tea a day is recommended to raise our body’s metabolic rate. However, it is important to note that green tea only accelerates metabolism by an average of 4%, which is about 80 calories a day. So drinking green tea alone will not help toward significant weight loss, it is a combination of regular exercises and a clean balanced diet. Having said that, green tea can be used to maintain a healthy weight and why not burn additional calories even if it’s a small amount, because this will also contribute to your weight loss in long-term. You will be happy to know the 2nd reason. Green tea is known to target abdominal fat. The EGCG present in green tea activates fat-burning genes in the abdomen to speed weight loss by 77%. 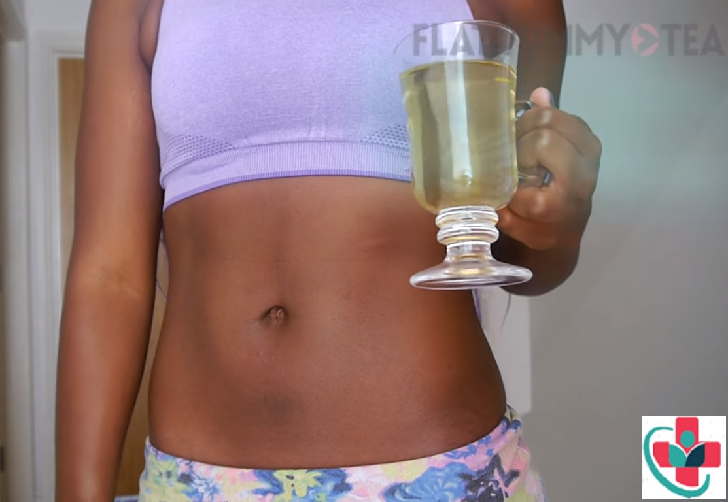 So drinking green tea on a daily basis will help with belly fat in the long term. Green Tea helps to reduce bloating and improves digestion. Green tea is a potent diuretic so it can help to relieve bloating from excess fluid retention. By drinking green tea regularly, you will notice that you tend to visit the restroom more often to get rid of excess water in your body, which actually contributes to a flat tummy. So if you experience feeling really bloated after a meal, having a cup of green tea after a meal is a great way to speed along digestion and help your body break down food easily. Theanine, an amino acid, found in green tea can help with relaxation and focus. On a personal experience, I have to agree with this. I drink my green tea every morning either before or together with my breakfast. It really keeps me calm and helps me to stay focus right from the start of the day. Green tea is also a great stress reliever. So when you are stressed out, instead of binging, try to drink a cup of green tea to calm you down. It keeps your energy stable by balancing our blood sugar levels. This will prevent blood sugar spikes and crashes, which can result in fatigue, irritability, and cravings for unhealthy foods. Green tea drinkers tend to be more in control of their cravings, which can also help with binge eating. So if you are one person who’s constantly craving for more food even when you are full, try drinking green tea with your meals. Regular consumption of green tea also helps with longevity and looking young. EGCG is 200 times more powerful than Vitamin E to destroy skin-damaging free radicals. Hence, regular consumption of green tea will kill free radicals and prevent skin damage, wrinkling and other signs of aging. I believe this is one of the Asian secrets for youthful skin because most of us tend to consume green tea on a daily basis. Unlike coffee, which gives you bad breath, drinking green tea does the total opposite. The antibacterial and natural fluoride found in green tea kill the bacteria that causes tooth decay, cavities, gum diseases, and bad breath. So if you have a busy day ahead with lots of meetings, you might want to consider swapping your coffee with green tea. Cancer is caused by uncontrolled growth of cells. It is one of the world’s leading causes of death. EGCG is known to prevent lung, prostate, breast, esophageal, bladder and stomach cancer by suppressing cancer growing cells. It has also been said that drinking green tea before and after cancer surgery significantly lowers the risk of its reoccurrence. Multiple other observational studies show that green tea drinkers are significantly less likely to get various types of cancer. So let’s start drinking green tea because prevention is better than cure. Green tea reduces bad cholesterol (LDL) in the blood and improves the ratio of good cholesterol (HDL) to bad cholesterol. It prevents cholesterol build-up in arteries and helps prevent cardiovascular disease, which is currently the leading cause of deaths in America. Green tea apparently helps regulate glucose levels, slowing the rise of blood sugar after eating. A study in Japanese adults revealed that drinking several cups of green tea per day lowered the risk of type-2 diabetes by a whopping 33%. I drink green tea every single day without fail especially in the mornings and I absolutely love it. Now that you know most of the benefits, how many cups should you be drinking a day for maximum benefits? There have been lots of conflicting opinions on this, some say as little as 2 cups a day, while others 5 cups and some even up to 10 cups. I drink about 4 – 5 cups daily, and I would say it’s probably safe to drink that amount. Yes, green tea does contain caffeine but it is much lower in comparison to coffee. On average, 8oz (250ml) of green tea contains about 35mg of caffeine, whereas the average cup of coffee has about 100 to 200 mg of caffeine. The first infusion of green tea releases the most caffeine and it starts to reduce with the 2nd and 3rd infusion. So if you are sensitive to caffeine then one cup should be your limit. How to drink your green tea? So how to drink your green tea? Well boil a pot of water and allow it to stand for 2-3 minutes because we do not want the water to be boiling hot. Add 1 or 2 teaspoons of green tea leaves into a teapot and after 2-3 minutes, pour the heated water into the teapot and allow the tea leaves to steep for up to 3 minutes and enjoy your cup of green tea. If you steep it for longer than 3 minutes or it can be bitter rather than flavorful. 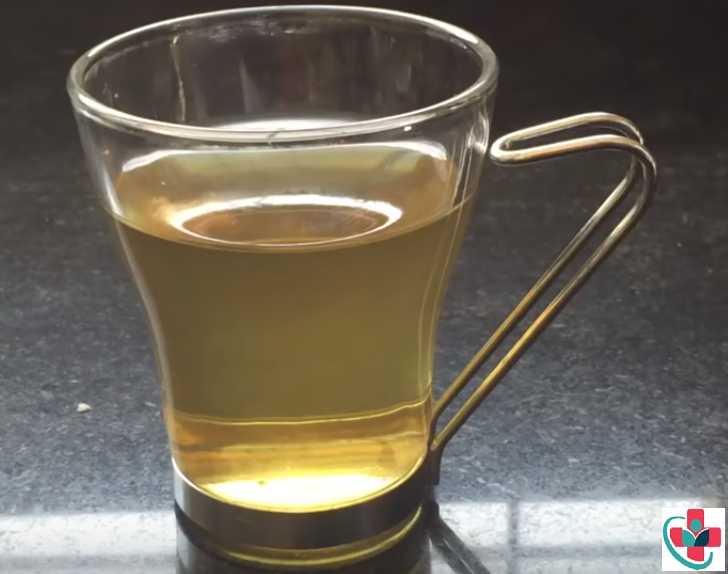 What are the different ways to enjoy green tea? - You can drink your green tea either hot or cold. - You can even some extra flavors to your green tea, for instance, a squeeze of lemon, or even ginger. Personally, I do not like to add anything with my green tea. - And please don’t ever add milk to your green tea... The casein protein in milk inhibits the benefits of green tea. Plus, it is just weird. And you cannot get the health benefits from drinking green tea beverages sweetened with sugar or artificial sweeteners. - Green tea is already so flavorful on its own and healthy, in fact, zero calories, so why add all the extras on it, it’s not needed. So, green tea is not just something you start, do it for a couple of months and stop. To gain all the health benefits from it long term, make it your daily drink. On a daily basis, I mostly only drink water or green tea and I have a cup every morning without fail. I have whole leaves tea when I am at home and if I’m traveling, I’ll carry by green tea bags with me, course they may not be as fresh, but it’s my daily devotion to green tea.